TA: Some in the tax community object that the Foreign Account Tax Compliance Act is a violation of taxpayer rights on an international scale. Do you agree? Olson: I don't know how it could be a violation of rights on an international scale since every community has its own set of rights. That's part of the problem. To me, I think the jury is still out on what it is like under various European conventions and provisions. We just have to wait and see how it's thought about. The problem with FATCA is that it imposes burdens on taxpayers at all sorts of levels, and it's not clear what benefits we're really going to get from it or what we'll be able to do. My attention has been more on the foreign bank and financial account report and on the offshore voluntary disclosure arrangements. I could make a strong case that those violate many of our rights. For example, under that disclosure initiative, there is a secret committee that reviews recommendations for what would be the settlement in a particular case. Taxpayers are not allowed to talk to anyone on that committee. They don't receive a detailed explanation of the decisions that the committee made. I can't say it's a violation because this is not a law, but it impairs the taxpayer's right to be informed and, ultimately, the sense that he is part of a fair and just tax system. 1. The Internal Revenue Service (“IRS”) required Plaintiffs Eva Maze, Suzanne Batra, and Margot Lichtenstein to transition from the 2012 Offshore Voluntary Disclosure Program (“2012 OVDP”) to the 2014 Streamlined Filing Compliance Procedures (“2014 SFCP”) solely through the use of rules mandating that Plaintiffs meet a set of secret, unpublished, and arbitrary criteria, file and pay tax and interest on eight, rather than three, years of amended tax returns, and pay an accuracy-related penalty otherwise inapplicable under the 2014 SFCP (the “Transition Rules”). The application of these Transition Rules purportedly required Plaintiffs, who reported their foreign bank accounts and assets through participation in the 2012 OVDP out of a sense of responsibility and candor, to satisfy monetary and compliance burdens that similarly situated individuals who waited until the 2014 SFCP were announced do not face. 7. The Transition Rules are not the product of notice-and-comment rulemaking, constitute arbitrary or capricious agency action, and injured Plaintiffs, who were subject to increased [*4] monetary payments, filing burdens, and disparate review standards, solely because of the requirements of the Transition Rules. Accordingly, Plaintiffs request the Court to hold unlawful and set aside the Transition Rules, to declare that the Transition Rules are invalid, to declare that Plaintiffs may process their voluntary disclosures through the SFCP, and to enjoin Defendants from enforcing the Transition Rules. The complaint then sets forth a good history of the IRS offshore initiatives beginning in 2009 (as well as some history before 2009). See ¶¶ 16-42, pp. 5-13. The complaint then has detailed discussion of the Streamlined Transition rules. See ¶¶ 43-56, pp. 13-16. The complaint then discusses Administrative Procedure Act ("APA") deficiencies under the outline heading "The Transition Rules Are Not the Product of Notice-and-Comment Rulemaking." See ¶¶ 57-68, pp. 16-18. These allegations raise serious issues involving the role of the APA in IRS rule making, an issue which was dormant for most of the life of the Internal Revenue Code, but which has been gaining prominence in recent years. Fatca requires foreign financial firms to report account data for their U.S. taxpayers or face stiff penalties. In many countries this information is bundled and submitted by the tax agency to the IRS. After Fatca was enacted, U.S. authorities said that in some cases they would share information on U.S. accounts held by foreigners, in an effort to counter charges the U.S. was acting unilaterally. Fatca supporters say the law has been a catalyst for historic change. Following its enactment, several non-U.S. countries decided to push for a similar effort, called the Common Reporting Standard. The CRS will enable countries such as Germany and France to exchange tax data digitally by 2018. So far, more than 90 nations have signed up for CRS. “Fatca and the Common Reporting Standard are fundamental changes in the tax landscape that could help countries around the world stem offshore tax evasion,” says Itai Grinberg, an international tax specialist at Georgetown University’s Law School. What information is being shared? Richard Kando, a director of Navigant Consulting in New York, says that in general, financial firms abroad have to report the name, address and taxpayer ID number of each U.S. account holder. They also must give the account number, account balance and gross amounts of dividends, interest and other income—including items such as the cash value of annuities. The threshold for reporting foreign accounts can be as little as $50,000. The IRS won’t send all the same information abroad about foreigners’ accounts held in the U.S. firms, Mr. Kando says. In general, the agency will provide the name, address, account number and tax ID number or date of birth for the client, plus the gross amounts of deposit interest, U.S.-source dividends and certain other U.S.-source income. But the agency isn’t required to provide the account balance. The IRS declined to say what the threshold is for reporting accounts held by foreigners. Here are some major points that I thought readers may be interested in. On some of these points, I expand with reasonable inferences from what was actually said. Anything said below should not be attributed to Dan unless I specifically attribute it to him. 1. OVDP is for the willful taxpayer. For that type of taxpayer, the inside OVDP penalties are a pretty good deal (relative to the panoply of penalties that might otherwise apply. Further, it is not just the willful taxpayer but the willful taxpayer who would be at risk of criminal prosecution or the devotion of IRS resources to investigate and impose the significant related income tax penalties and FBAR penalties. Thus, I infer, it is possible that there are some willful taxpayers who may not be good candidates for OVDP because they are at fairly low risk. For example, a taxpayer whose offshore income never exceeded $500 per year and tax never exceeded $150 per year. Although other factors must be considered, that profile of taxpayer is not at material risk on either count. That does not mean that other persons who are somewhere beyond the mid-point on the spectrum from nonwillful to willful should do OVDP. The facts and circumstances might show that, even though potentially willful, there are other factors that might mitigate against full bore penalties if the taxpayer does not join OVDP. 2. The IRS encourages nonwillful taxpayers to do streamlined if they otherwise qualify. Although there will be no closing agreement at the end and the willful certification and narrative will be reviewed, if the narrative supports the certification and there is no indication that the certification is incorrect, it is not likely to be scheduled for audit. However, other general audit techniques (such as DIF, etc.) might cause the return to be reviewed. But the general audit coverage rate is fairly low, so the taxpayer pursuing streamlined has relatively low chance of audit. But, there will be inherent uncertainty because no closing agreement is signed. 3. In the Streamlined Program (either SFOP or SDOP), the IRS has the burden of proof if it conducts an audit and desires to assert the FBAR penalty or the income tax civil fraud penalty. This is not like the Streamlined Transition where the taxpayer must persuade the IRS that he or she is nonwillful. In this sense, in Streamlined Transition, the taxpayer has a burden of proof which, if he or she fails to meet that burden, Streamlined will likely be denied. 4. In both Streamlined and Transition, the key is in the narrative in support of the nonwillful certification. Dan made the point that the narrative (and any supporting materials, such as affidavits, etc.) should be proportionate to facts presented -- such as significantly the amount of income and the amount of the deposits. I infer, for example, if the certification shows $100,000,000 in offshore deposits, more detail and support should be provided than $100,000 in offshore deposits. Zeros or, more precisely, digits matter. I missed this article when it came out earlier this month. Lynnley Browning, Computer Scientists Wield Artificial Intelligence to Battle Tax Evasion (NYT 10/9/15), here. Lynnley Browning is an excellent observer of the tax avoidance / fraud scene. Her articles are worth reading. Readers of this blog are aware if the traditional means for identifying tax evasion -- such as civil audits, traditional informants (such as disgruntled special friends, even wifes), etc. But now, algorithms can be deployed to large available data sets where, without the algorithms, it might be hard to perceive patterns and correlations that can identify the high potential for tax avoidance or evasion. A recent paper by Mr. Rosen and four other computer scientists — two others from M.I.T. and two at the Mitre Corporation, a nonprofit technology research and development organization — demonstrated how an algorithm could detect a certain type of known tax shelter used by partnerships. First, the researchers translated tax regulations governing partnerships, a growing source of tax trickery, into source code. Then they rendered the transactions underpinning a questionable shelter known as “installment-sale bogus optional basis,” or Ibob, as a series of codes. The Ibob shelter artificially inflates the basis value of an asset on a tax return to wipe out taxable gains when that asset is sold. While some of Ibob’s individual transactions are perfectly legal, the collective result is a bogus deduction. Next, the researchers mapped out in code the tangle of entities that make up typical partnerships. The results flagged specific combinations of transactions and partnership structures that were likely to produce the Ibob dodge. Rooting out fraud in corporate tax returns takes place largely through data mining, in which the I.R.S. collects pre-existing data from filed tax returns and analyzes them for patterns. The data goes into a database within the agency’s Office of Tax Shelter Analysis, created in 2000 in the wake of a crackdown on mass-market tax shelters sold by accounting firms, law firms and banks. The data-analytical approach depends upon already having some kind of smoking gun, such as a suspicious deduction on a return. By contrast, the artificial intelligence approach does not require pre-existing evidence. Instead, it focuses on rule mining, in which individual tax code regulations are lined up against one another to ascertain if they can be used collectively to create a sophisticated tax dodge. Rule mining takes advantage of a surprising feature of tax shelters: While their inner workings are convoluted and complex, their general aim at the highest level is usually simple and clear — to lower tax bills by improperly generating bogus losses, deductions, offsets and credits that minus the shelters would not exist. “It’s incredibly difficult to have a computer algorithm that duplicates the enormous creativity of taxpayers, but it’s very promising,” said Robert A. Green, a tax professor at Cornell Law School who read the M.I.T./Mitre paper. The ibob shelter was identified as follows in a 2010 GAO report, here. “Throughout the world, inequality is soaring to new heights, and the wealth of nations, which once provided prosperity to the majority, has gone missing.” So begins the narration for “The Price We Pay,” Harold Crooks’s exacting and disturbing documentary about offshore tax havens for multinational corporations, the growing concentration of money within a narrow minority, and the erosion of social benefits. The ideas in this densely packed but enlightening film can be challenging, but must be heard. As the economist Thomas Piketty, author of “Capital in the Twenty-First Century,” relates on camera, income inequality is at heights unseen since before World War I. Krishen Mehta, a former partner at PricewaterhouseCoopers, estimates that 75 percent of multinationals’ profits reside in places like Singapore, Switzerland, Bermuda and Luxembourg. Giants like Amazon and Apple, whose executives are seen being grilled in hearings in London and Washington, are accused of moving profits to other countries and wiping out, for example, independent booksellers while dodging taxes in major client nations. The film trailer is here. Luzerner was established in 1850 by the Canton of Lucerne, a sovereign political subdivision of the Swiss Confederation. Luzerner was aware that U.S. taxpayers had a legal duty to report to the Internal Revenue Service (IRS) and pay taxes on the basis of all their income, including income earned in accounts that the U.S. taxpayers maintained at Luzerner. Luzerner knew or had reason to know that it was likely some taxpayers who maintained accounts at Luzerner were not complying with their U.S. tax and reporting obligations. Luzerner offered a variety of traditional Swiss banking services that it knew could assist, and did assist, U.S. taxpayers in concealing their identity from the IRS by minimizing the paper trail associated with their undeclared assets and income. These services included hold mail and numbered accounts. Luzerner also opened and maintained accounts held in the name of non-U.S. corporations, foundations or other entities, while knowing, or having reason to know, that a U.S. taxpayer ultimately held an interest in these non-U.S. entities. In at least six cases, these structured accounts were established in the names of entities set up in Panama, Seychelles and the British Virgin Islands by two Swiss-based advisory companies. Luzerner maintained 115 U.S.-related accounts for insurance carriers, commonly called insurance-wrapped accounts, as to which Luzerner was aware that the policy holder or premium payer was a U.S. person. These accounts titled in the name of an insurance carrier, but are funded with bankable assets transferred to the account by the beneficial owner of the policy. The insurance carriers, at Luzerner’s request, provided Luzerner with the identities of the beneficial owners of these policies. The assets in the account, while titled in the name of the insurance carrier, were managed by the external asset manager for the beneficial owner through a power of attorney given by the insurance carrier. Nearly all of these insurance-wrapped accounts were managed by a single external asset manager. In an e-mail sent to the head of the private banking department in December 2007, the head of the external asset manager desk at Luzerner described that external asset manager as “[specializing] in aspects of legal asset protection as well as tax optimization and has approx. CHF 750 million [Swiss francs] in assets under management, in particular in life insurances. Its main clients include wealthy U.S. nationals (doctors, lawyers, etc. ).” Luzerner knew or had reason to know that U.S. citizens, residents and others obligated to pay U.S. taxes who contributed the assets to the insurance-wrapped accounts sought to conceal their ownership of those and also to evade their U.S. federal income tax obligations. Since Aug. 1, 2008, Luzerner held a total of 595 U.S.-related accounts, which amounted to approximately $300 million. Luzerner will pay a penalty of $11.031 million. HBZ primarily serves South Asian commercial businesses and entrepreneurs, and their families. In 1941, Habib Bank Ltd. (HBL), the predecessor to HBZ, was founded in Bombay (now Mumbai), India. In 1967, the founders of HBL founded HBZ as a stand-alone entity in Switzerland. In 1974, Pakistan nationalized HBL and all of its subsidiaries and overseas branches. Following the nationalization of HBL, the founders of HBZ rebuilt a global banking business independent of HBL. HBZ has branches and subsidiaries in Canada, Hong Kong, the Isle of Man, Kenya, Pakistan, South Africa, Switzerland, the United Arab Emirates and the United Kingdom. The HBZ Swiss Office has local management, a local banking team and a client base with accounts held in Switzerland that is distinct from, and tracked and managed separately from, the HBZ operations in other jurisdictions. The HBZ Swiss Office assisted or otherwise facilitated U.S. clients in establishing and maintaining undeclared accounts in a manner that the HBZ Swiss Office knew or should have known was designed to conceal the U.S. clients’ ownership or beneficial interest in the accounts. Employees of Habib American Bank, Inc. (HAB), an unrelated bank with common ownership, introduced or referred U.S. persons to the HBZ Swiss Office. HBZ has identified one account opened at the HBZ Swiss Office for a U.S. person as a result of a referral from HAB. HBZ and HAB are owned through separate legal structures for the benefit of members of the same extended family. In connection with one relationship, the HBZ Swiss Office assisted with creating four Liechtenstein “Anstalts” or entities with U.S. beneficial owners. A Liechtenstein law firm structured and managed these entities. This Liechtenstein law firm served as the nominee, director and signatory authority of these accounts. The HBZ Swiss Office knew or should have known that these entities were created with an intention of masking U.S. ownership. The HBZ Swiss Office further facilitated the transfer of the funds from these accounts to HBZ Finance Limited, Hong Kong. In connection with closing U.S.-related accounts, the HBZ Swiss Office permitted certain U.S. clients to transfer funds to accounts held at other HBZ branches and subsidiaries, or to other accounts at the HBZ Swiss Office, either knowing or when it should have known that such transfers were motivated by a desire to avoid U.S. tax or information reporting requirements. Since Aug. 1, 2008, HBZ had 125 U.S.-related accounts, comprising approximately $118.9 million in assets under management. HBZ will pay a penalty of $9.4 million. I am behind on reporting this article. Laura Saunders, Inside Swiss Banks’ Tax-Cheating Machinery (WSJ 10/22/15), here. For those who have not read it, I do recommend the article. Although most readers of this blog are aware of the Swiss bank issue, this gives some facets that many may not have considered. Laura is an excellent reporter and compiles some interesting information from the NPAs that have been reached with Category 2 banks under the U.S. Swiss Bank Program, here. The Justice Department said it hopes to reach settlements in this program with other Swiss firms by year-end. Lawyers for U.S. account holders and Swiss banks familiar with Justice Department efforts said that six to eight larger banks remain in separate talks with U.S. authorities. Meanwhile, U.S. officials said they are mining the extensive data uncovered by the program, including the destination of funds transferred out of Swiss accounts, to pursue leads around the world. 1. I presume that the six to eight banks are in the group designated as Category 1 which were under criminal investigation prior to the program and thus ineligible for Category 2 treatment. 2. It is interesting that the Swiss banks under criminal criminal investigation falling into Category 1 that have not yet been outed publicly by DOJ and IRS are not yet on the IRS list of Foreign Financial Institutions or Facilitators, here. In some sense, those banks are probably the worst offenders; certainly many, even most, of the Category 2 offenders on the list are lesser offenders than the Category 1 banks not yet named. Yet, the depositors in those disclosed Category 2 banks are treated worse if they attempt to join OVDP than are the depositors in the Category 1 banks. Of course, the fact that Category 1 banks are under grand jury investigation would itself be secret, but the DOJ itself indicated that banks were under criminal investigation and word as to which banks has been on the street for some time. To the extent that the IRS has information independent of the grand jury (most likely from OVDP disclosures), that information would not be grand jury information subject to secrecy rules but would likely be tax return information of the taxpayer making the disclosure which is also subject to secrecy rules. I would suspect that, if the IRS wanted to avoid conferring better treatment on Category 1 depositors than Category 2 depositors, it could find some creative way (perhaps waiver by the cooperating taxpayer) so that at least the name of the bank could be disclosed. But, the disclosure of those banks without some announcement of John Doe Summons or criminal action (indictment, NPA, DPA, etc.) would permit an inference that they were under grand jury investigation and that alone might be a violation of the grand jury secrecy rules. [B]anks cooperating with the U.S. government turn over specific data, including details about the dates, amounts, and destinations of wire transfers that close out U.S. persons' accounts. While the account holders' names are not revealed, it is widely expected that the DOJ will use the detailed information on these so-called leaver lists to file group requests with the Swiss competent authority to obtain the identities of U.S. taxpayers who have not disclosed their account details. [Mark] Matthews [of Caplin & Drysdale] said a team will be looking to see if the U.S. has a tax treaty with the country where the funds transferred out of a Swiss account were sent. "They will now have the beginnings of the evidence to create a valid treaty request . . . and go after that same information in that other bank," he said, "so [the IRS has] put together a pretty neat little vice here." The message for individuals who think they're safe because they got their money out of Switzerland and into countries such as Panama is that "there's a very high chance they're going to find you," Matthews said. Banks that actively market themselves as discreet destinations for undeclared cash have cause for concern as well. "There's sort of a special place in hell in the Justice Department's mind for people who run and hide," Matthews said. "And the banks who took on people . . . who were running from Switzerland, the Department of Justice really finds that behavior offensive, both on the part of the banks and people who are running. That is a very dangerous thing to be doing these days." 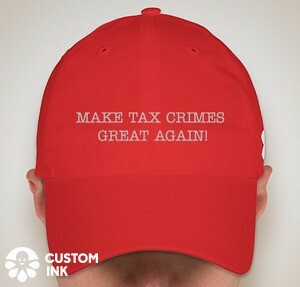 Steven Toscher, a criminal tax lawyer at Hochman, Salkin, Rettig, Toscher & Perez PC, said the government's strategy with the voluntary disclosure and Swiss bank programs is brilliant because of the magnitude of the problem and the scarcity of resources available to address it. "It's based on the presumption they can't prosecute everybody," Toscher said. "They just don't have the resources." Tax Controversy Posts Blog has this entry: A Conversation with UVA Law's Brandon Garrett About the DOJ's Swiss Bank Program (Tax Controversy Posts Blog 10/22/15), here. In this blog entry, Carolyn Kendall, an attorney with Post & Schell, interviews Professor Brandon Garrett of UVA Law School, author of recent book Too Big to Jail: How Prosecutors Compromise with Corporations (Harvard Univ. Press 2014), here. See also my prior blog on Judge Rakoff's review of Professor Garrett's book, here. Professor Garrett also maintains on his UVA Law site, here, some great statistics and links for nonprosecution and deferred prosecution agreements. I recommend to readers the following article: Brooke Harrington, Inside the Secretive World of Tax Avoidance Experts, The Atlantic (10/26/15), here. The authors goes into this secretive world and finds some of the professionals willing to offer insights into the world in which they play. As for wealth management’s wider impact, what I found over the course of this study—the results of which will be published next year in a book for Harvard University Press—was not only insight into the making of the vast wealth inequality growing around the world. There was also something bigger, and even more disturbing: a domain of libertarian fantasy made real, in which professional intervention made it possible for the world’s wealthiest people to be free not only of tax obligations but of any laws they found inconvenient. Piguet Galland evolved through the combination of three small, traditional Swiss private banks focused on wealth management. In November 2003, Banque Franck SA acquired the client relationships of Banque Galland & Cie SA to become Franck Galland & Cie SA. Until 2011, Piguet & Cie (Banque Piguet) was a separate entity, majority-owned by Banque Cantonale Vaudoise (BCV). Between February and April 2011, BCV acquired Franck Galland from its owner, a U.S. financial group (the U.S. financial group), and then merged it with Banque Piguet (the 2011 Acquisition) to form the current entity, Piguet Galland. BCV owns Piguet Galland. Piguet Galland and its predecessor banks opened, serviced and profited from accounts for U.S. taxpayers with the knowledge that some of these accountholders likely were not complying with their U.S. income tax and reporting obligations. Piguet Galland and its predecessor banks offered a variety of traditional Swiss banking services that they knew or should have known would assist U.S. taxpayers in concealing assets and income from the Internal Revenue Service (IRS), including hold mail and code name or numbered account services. One particular relationship manager (RM-1) was responsible for managing many of the U.S.-related accounts at Banque Franck and later Franck Galland. RM-1 was a member of senior management at both of those banks. Before Aug. 1, 2008, RM-1 opened several entity and trust accounts for U.S. persons, which remained open past Aug. 1, 2008. RM-1 was a relationship manager for at least 65 U.S.-related accounts at Piguet Galland after Aug. 1, 2008. RM-1 traveled regularly to the United States, mostly to attend meetings with both existing and potential U.S. clients. Among other places, RM-1 traveled to Arizona, California, New Hampshire, New York and Wisconsin to meet both existing and potential clients. This travel sometimes occurred at the request of the U.S. financial group that owned Franck Galland and often was in connection with trips to visit the U.S. financial group’s management. RM-1 met with U.S. clients at hotels, clients’ clubs and other public places in the United States. Management at Franck Galland, including its former chief executive officer, was aware of RM-1’s travel to the United States. In fact, at least one member of Franck Galland’s Executive Committee knew that RM-1 was a U.S. person at the time he started employment. Franck Galland permitted two other former relationship managers to travel to the United States to meet with U.S. taxpayer-clients. On one occasion, one of these relationship managers provided $5,000 in cash from an undeclared account held by a U.S. taxpayer-client directly to that client in the United States. Served as trustee for two trusts that held U.S.-related accounts from 1995 to June 2011. The Cayman Entity also held a subsidiary, the only purpose of which was to hold a condominium in George Town, Cayman Islands. While the condominium was principally for use by the U.S. financial group and its management, it was also used by executives of Franck Galland and at least three of its U.S. taxpayer-clients. The condominium was sold prior to the 2011 Acquisition. Banque Piguet, another predecessor to Piguet Galland, allowed some of its relationship managers to communicate with its clients, including U.S. taxpayers, through private email accounts and the email domain “4uonly.ch,” without disclosure of the communication’s origin. In collaboration with the FBI and Treasury Inspector General for Tax Administration (TIGTA), the Department's Criminal and Civil Rights Divisions conducted an exhaustive probe. We conducted more than 100 witness interviews, collected more than one million pages of IRS documents, analyzed almost 500 tax-exemption applications, examined the role and potential culpability of scores of IRS employees, and considered the applicability of civil rights, tax administration, and obstruction statutes. Our investigation uncovered substantial evidence of mismanagement, poor judgment, and institutional inertia, leading to the belief by many tax-exempt applicants that the IRS targeted them based on their political viewpoints. But poor management is not a crime. We found no evidence that any IRS official acted based on political, discriminatory, corrupt, or other inappropriate motives that would support a criminal prosecution. We also found no evidence that any official involved in the handling of tax-exempt applications or IRS leadership attempted to obstruct justice. Based on the evidence developed in this investigation and the recommendation of experienced career prosecutors and supervising attorneys at the Department, we are closing our investigation and will not seek any criminal charges. Tax Notes Today reports on a recent International Tax Enforcement conference, sponsored by the American Bar Association Section of Taxation and the Tax Executives Institute. Nathan J. Richman, DOJ 'Happy to Talk to Anybody' on Foreign Disclosures, 2015 TNT 201-7 (10/19/15) [No link available]. 1. Consistent with the title, the DOJ indicated an interest in talking with financial institutions other than Swiss banks who may want to resolve their U.S. criminal exposure. The background for this was the Finacor SA resolution announced earlier. See Swiss Asset Manager Settles Up with DOJ Tax (Federal Tax Crimes Blog 10/6/15), here. 2. DOJ Tax's "enforcement efforts will continue to extend beyond Switzerland." 3. Investigations of category 1 Swiss banks are proceeding and, at a minimum, those banks "will be required to meet the obligations that are being imposed on category 2 banks,"
4. Investigations of category 3 banks seeking non-target letters are "moving along," whatever that means. 5. In addressing the relative disparity between unreported income and the FBAR penalty, Acting AAG Tax Carline Carolo said that the FBAR penalty punishes conduct other than tax noncompliance; hence, in effect, there is no comparison. JAT Comment: Why then does the FBAR and OVDP offshore penalty go away if there is no tax noncompliance? Isn't the civil fraud penalty supposed to be the penalty for tax noncompliance? 6. As previously reported, there will likely be more John Doe Summonses related to offshore noncompliance. 7. The 2014 Streamlined Filing Compliance Procedures have been used by 20,000 taxpayers. The Fifth Circuit recently issued a nonprecedential opinion in United States v. Perez (5th Cir. 2015), here, affirming a preparer's convictions for aiding and assisting. Mickey Joe Perez challenges the sufficiency of the evidence supporting his convictions for seven counts of aiding and assisting in the preparation and presentation of false and fraudulent individual income tax returns. According to Perez, none of the employees of Action E-File Services testified that he trained or encouraged anyone to commit tax fraud or that they observed him commit the crimes alleged in the counts of conviction; the testimony of taxpayers for whom he prepared returns was insufficient to show that he willingly violated federal tax laws; and the taxpayers' testimony was not credible because they received "consideration" as the Government stated it did not intend to prosecute them. Perez further asserts that the jury's decision was not rational because the evidence on the counts of conviction was materially indistinguishable from the counts on which he was acquitted. In a similar vein, he asserts that the evidence against his codefendant, Carolyn Clark, was more incriminating than any evidence presented against him, but the jury acquitted Clark on all but one count. Finally, Perez maintains that reversal of his convictions is required because of the "equipoise rule," that the evidence tends to give equal or nearly equal circumstantial support to a theory of guilt or a theory of innocence. Contrary to Perez's argument, we do not consider the jury's rejection of certain counts in determining whether the evidence is sufficient to support Perez's convictions. See United States v. Parks, 68 F.3d 860, 865 (5th Cir. 1995). Further, we have abrogated the "equipoise rule" cited by Perez. See United States v. Vargas-Ocampo, 747 F.3d 299, 301-02 (5th Cir. 2014) (en banc). The court voted to rehear this case en banc on the question whether, when examining the sufficiency of evidence supporting a criminal conviction, this court should no longer refer to the "equipoise rule." According to appellant, the "equipoise rule" states that the court "must reverse a conviction if the evidence construed in favor of the verdict 'gives equal or nearly equal circumstantial support to a theory of guilt and a theory of innocence of the crime charged.'" United States v. Jaramillo, 42 F.3d 920, 923 (5th Cir. 1995) (citations omitted). n2 A majority of the court now holds that the "equipoise rule" is not helpful in applying the Supreme Court's standard prescribed in Jackson v. Virginia, whereby reviewing courts must affirm a conviction if, after viewing the evidence and all reasonable inferences in the light most favorable to the prosecution, any rational trier of fact could have found the essential elements of the crime beyond a reasonable doubt. 443 U.S. 307, 319, 99 S. Ct. 2781, 2789, 61 L. Ed. 2d 560 (1979) (emphasis in original). We abandon use of the "equipoise rule" and affirm Vargas-Ocampo's conviction. n2 See also United States v. Ortega-Reyna, 148 F.3d 540, 543 (5th Cir. 1998) (interpreting the "equipoise rule" to hold that "[w]hen the evidence is essentially in balance, a reasonable jury must necessarily entertain a reasonable doubt"). Other cases citing this "rule" in our circuit include, e.g., United States v. Penaloza-Duarte, 473 F.3d 575, 580-81 (5th Cir. 2006); United States v. Reveles, 190 F.3d 678, 686 (5th Cir. 1999); United States v. Stewart, 145 F.3d 273, 277-80 (5th Cir. 1998). BBVA Suiza also transferred the assets of U.S.-related accounts belonging to certain U.S. taxpayer clients in ways that concealed the U.S. nature of those accounts, such as through cash or check withdrawals, wire transfers and sham transfers to non-U.S. relatives or their nominal accountholders. In addition, BBVA Suiza removed some of its U.S. taxpayer clients’ names as joint-accountholders, leaving only non-U.S. persons as accountholders, or moved their assets into new accounts that were held in the names of non-U.S. persons, including non-U.S. relatives. BBVA Suiza thereafter treated such accounts as non-U.S.-related accounts, despite some relationship managers continuing to take and execute instructions given directly from the U.S. taxpayers formerly associated with the accounts, or the U.S. taxpayer clients retaining effective beneficial ownership of the accounts. BBVA Suiza followed instructions from U.S. beneficial owners, or their external asset managers, to transfer undeclared assets from U.S.-related accounts to locations throughout the world without knowing or first confirming whether the U.S. beneficial owners were compliant with their U.S. tax obligations. Most U.S. taxpayers who enter the IRS Offshore Voluntary Disclosure Program to resolve undeclared offshore accounts will pay a penalty equal to 27.5 percent of the high value of the accounts. On Aug. 4, 2014, the IRS increased the penalty to 50 percent if, at the time the taxpayer initiated their disclosure, either a foreign financial institution at which the taxpayer had an account or a facilitator who helped the taxpayer establish or maintain an offshore arrangement had been publicly identified as being under investigation, the recipient of a John Doe summons or cooperating with a government investigation, including the execution of a deferred prosecution agreement or non-prosecution agreement. With today’s announcement of this non-prosecution agreement, noncompliant U.S. accountholders at BBVA Suiza must now pay that 50 percent penalty to the IRS if they wish to enter the IRS Offshore Voluntary Disclosure Program. Martin Naville, chief executive officer of the Swiss-American Chamber of Commerce, said the settlement process has been difficult for many firms, with some feeling they’ve been “slighted and not treated very well.” But he said the penalties were smaller than what many banks had budgeted for. That’s due in part to an unusual aspect of the amnesty program. Penalties are pegged to how many clients banks successfully pushed to reveal secret accounts and the firms that aided them. The more individuals who came forward, the less banks had to pay. U.S. agents interviewed taxpayers who used a Singapore money management firm to hide assets from the IRS, said Bryan Skarlatos and Scott Michel, lawyers who separately represent some of those Americans. They wouldn’t identify the firm, and Ciraolo wouldn’t discuss it. “Certainly, Singapore would be one of the jurisdictions that we’re looking at,” Ciraolo said. Societe Generale SA’s Swiss private banking unit admitted in its settlement that it transferred assets of U.S. customers to “corporate and individual accounts at other banks in Switzerland, Hong Kong, Israel, Lebanon, Liechtenstein and Cyprus,” according to its statement of facts. The unit paid a $17.8 million fine. A bank spokesman declined to comment. In its settlement document, Banque Pasche SA said that client money was transferred to banks located in Israel and Hong Kong “in an attempt to further escape detection.” An e-mail and phone call to the bank weren't returned. Israeli banks have drawn special focus from the Justice Department. Last year then-Deputy Attorney General James M. Cole cited “an ongoing and extensive investigation” into hidden bank accounts in Israel. Bank Leumi Le-Israel Ltd. agreed to pay $400 million to resolve its criminal case.